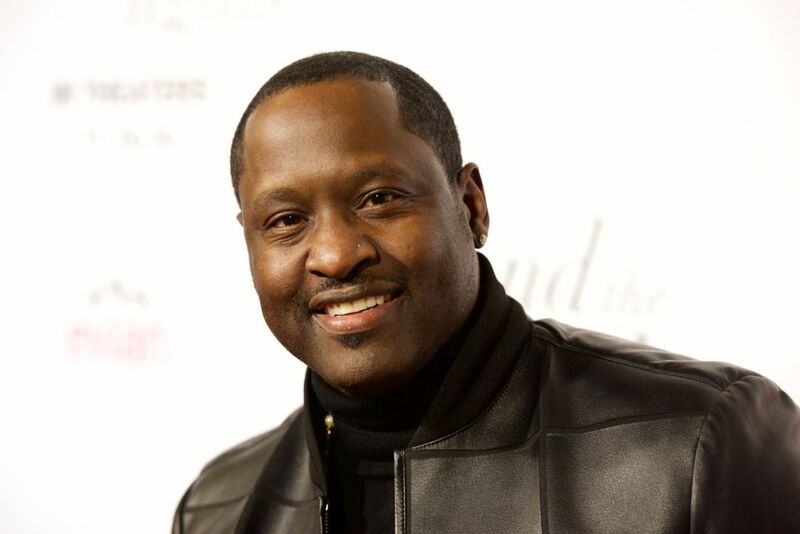 Johnny Gill Jr. (born May 22, 1966), also known as J.G., J. Skillz and Johnny G, is an American singer-songwriter and actor. Gill is the sixth and final member of the R&B/pop group New Edition, and was also a member of the supergroup called LSG, with Gerald Levert and Keith Sweat. He is currently in the new group Heads of State with New Edition members Bobby Brown and Ralph Tresvant. Gill’s recording career began in 1982, at the age of 16, when his childhood friend Stacy Lattisaw convinced him to record a demo. This demo fell into the hands of the president of Atlantic Records, and his first self-titled debut album was released shortly thereafter on Atlantic subsidiary Cotillion Records. Gill then teamed up with Stacy for the duet album Perfect Combination. A second solo album on Cotillion Records, Chemistry, was released in 1985. Gill began a new chapter in his career in 1987, when he was recruited by Michael Bivins to join New Edition. Bobby Brown had been voted out of the group and Gill was brought in to replace lead singer Ralph Tresvant, who was rumored at the time to be leaving to pursue a solo career. Gill became the only member of New Edition who was not from Boston. With Gill, the oldest member, as one of the lead singers (along with Tresvant, who ended up staying with New Edition and delaying the launch of his solo career) on the album Heart Break, the group developed a more mature, adult sound, hitting the charts with songs such as “Can You Stand The Rain”, “N.E. Heartbreak”, “If It Isn’t Love”, and the Gill-led “Boys To Men”. Continuing his role as a romantic balladeer while emerging as a new jack swing star, he released a second self-titled album in 1990, which included the hits “My, My, My”, “Rub You the Right Way”, “Fairweather Friend”, and “Wrap My Body Tight”. In 1993, Gill released another solo project, Provocative, which included the songs “Quiet Time to Play”, “A Cute, Sweet, Love Addiction”, and the gospel song, “I Know Where I Stand”. In 1996, Gill released Let’s Get the Mood Right, which included the title song, “Love In an Elevator”, and the single “Maybe” which is considered by many to be one of his greatest vocal performances. In 1996, Johnny reunited with New Edition and recorded the album Home Again. In 1997, he collaborated with Gerald Levert and Keith Sweat to form the supergroup LSG (Levert/Sweat/Gill), which yielded the multi- platinum debut album, Levert.Sweat.Gill. and their final album LSG2 in 2003. In 2004 he reunited with New Edition; they signed with Bad Boy Records and released the album One Love which included the single “Hot 2Nite” in 2004. 16 years after recording his last solo album, Gill returned with Still Winning, which included “In The Mood”, “Just The Way You Are”, “It Would Be You”, and “2nd Place”. In 2014 Gill left Fontana Records and started his own label, J Skillz Records, on which he released a new album called Game Changer. The album produced several adult R&B radio hits, including the singles “Behind Closed Doors” and the title track, “Game Changer”. His New Edition bandmates appear on “This One’s For Me And You”. Gill will join Fantasia as an opener for Charlie Wilson’s In It To Win It tour, kicking off in February 2017.